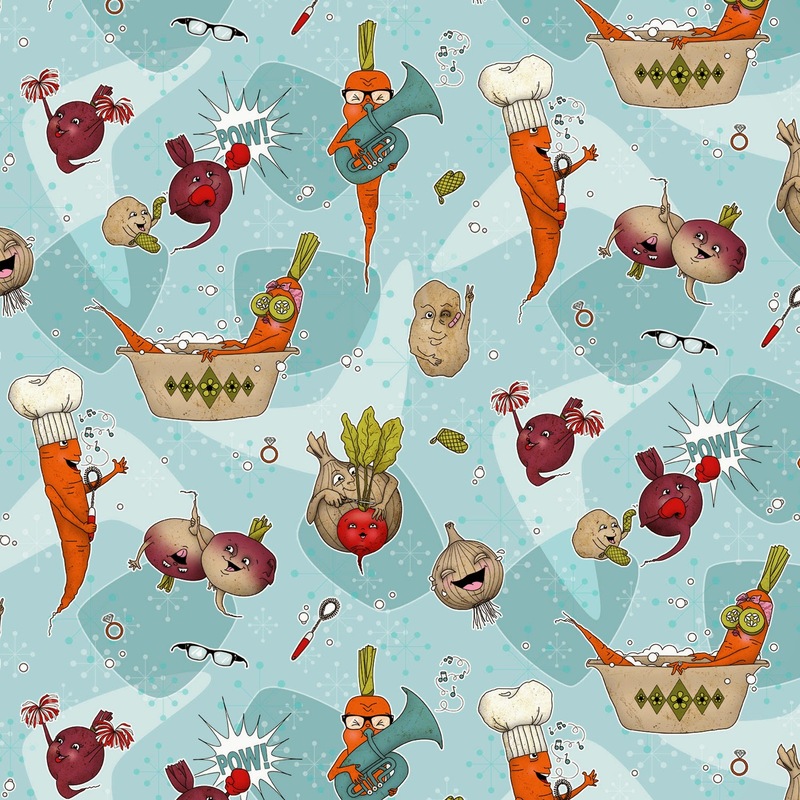 Surface design and illustration © Kim Buchheit; licensing and/or purchasing options available. This fall I'm thrilled to be taking part in Lilla Rogers' Make-Art-That-Sells course. The class is chock-full of talented artists and it's very inspiring to be working alongside them under Lilla's expert guidance. 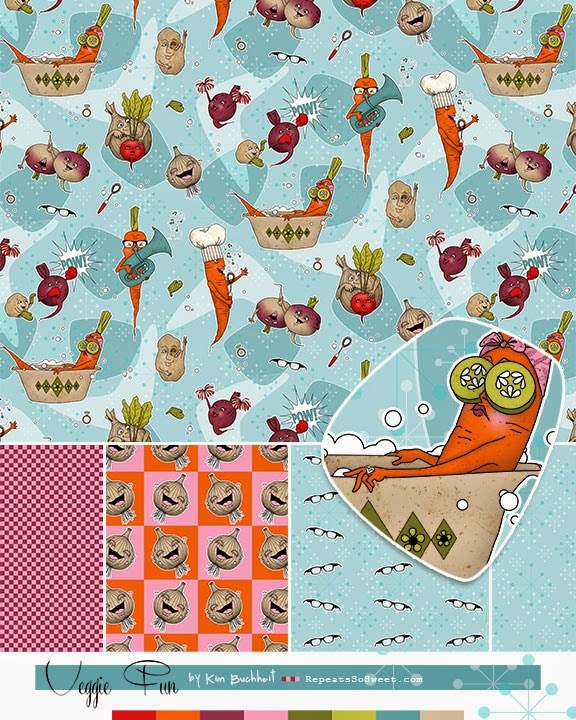 This week's assignment was to design bolt fabric with the theme of "root vegetables & casseroles" sporting a retro vibe. 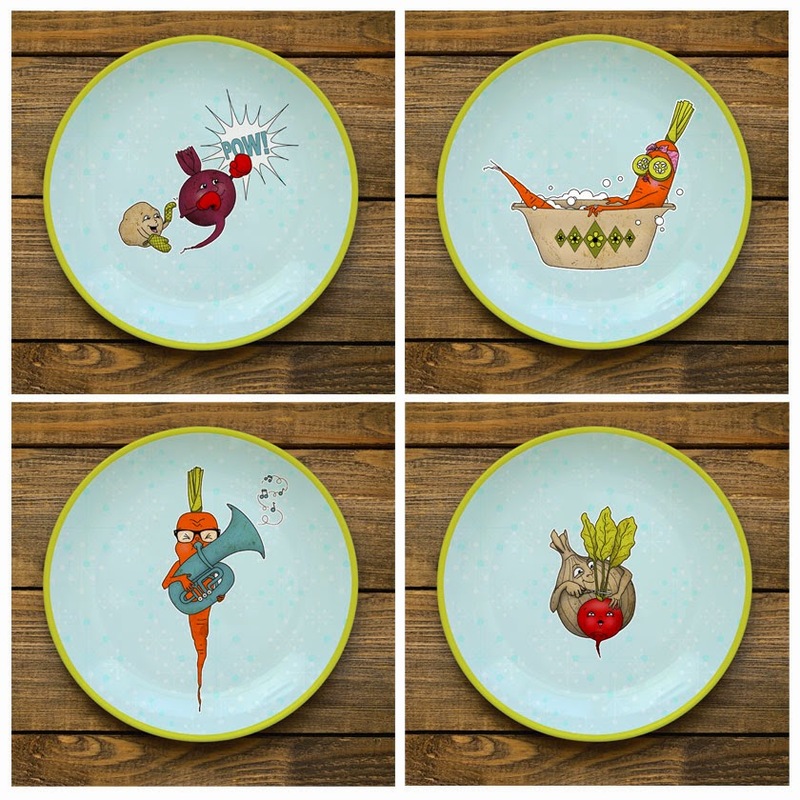 (I thought they'd make fun salad plates too!) One-Liner Notes: I'm a terrible lover of puns and wordplay so I couldn't help drawing "rootin' cheerleaders", "tuba-playing tubers", "turn-up-side-down turnips", "beat 'em-up beets", and a "real-dish" wearing nothing but her "10-carrot" diamond. Ha-ha! 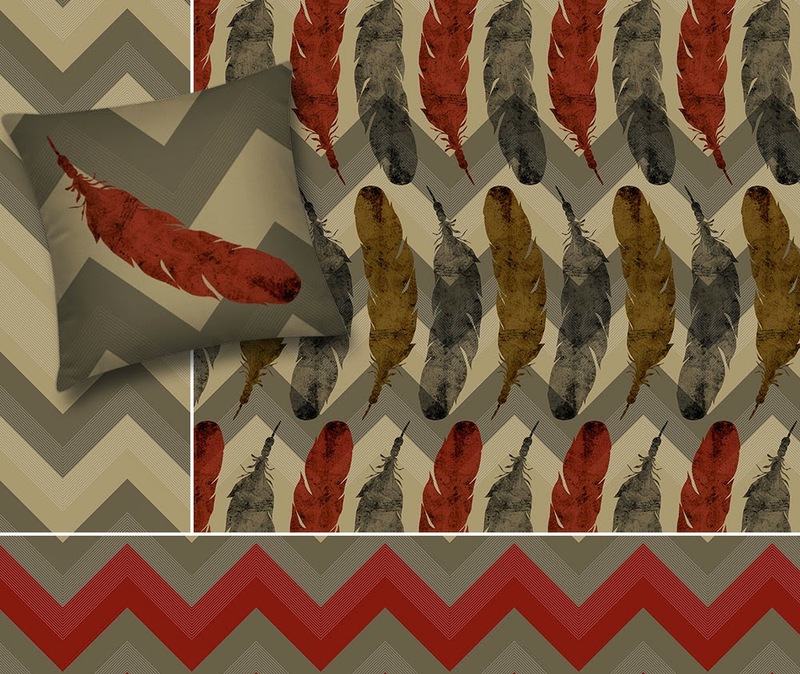 Tribal-inspired design is still on trend and makes a bold statement for interiors. This beautiful southwest design could easily update a living room or be the focal point in a master bedroom. The feather art was hand-drawn with alternate color ways available upon request. As with most of my work, the motif and color palette are infinitely editable — so you can offer a custom look to your client. 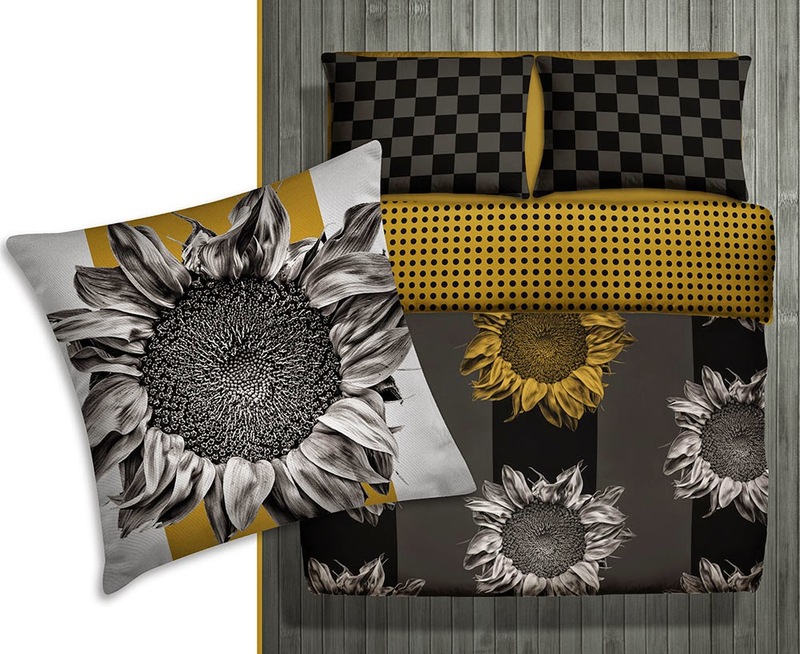 Surface design and illustration © Kim Buchheit; photography © Jeff McGarvin; licensing and/or purchasing options available. In anticipation of an upcoming partnership opportunity (details coming soon!) I'm in the process of developing a series of photo-based surface designs. 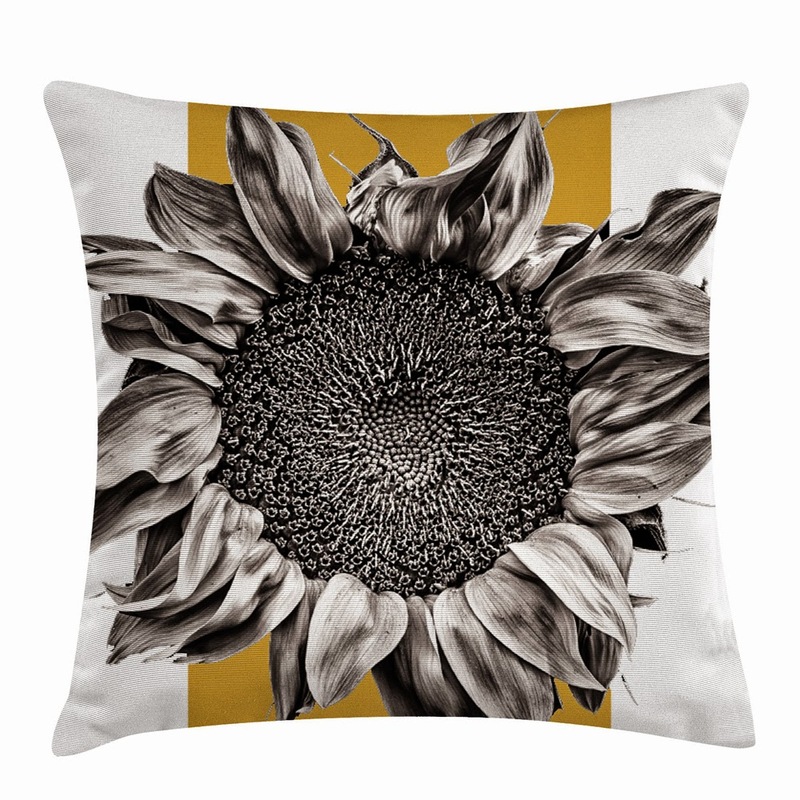 Toward this end, I'm excited to have the privilege to work with some of photographer Jeff McGarvin's beautiful imagery… like this swoon-worthy sunflower! His work is silvery rich with warm tones and deep blacks that are reminiscent of palladium prints from days gone by. Stay tuned as I'll be posting more from this collection in the coming weeks.